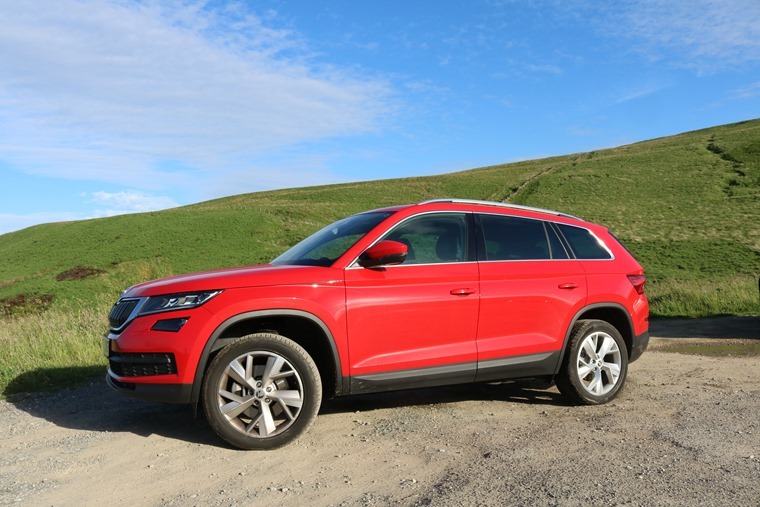 The Skoda Kodiaq has been making waves on ContractHireAndLeasing since it was first announced last year, with the lure of an affordable and modern looking seven-seater complete with Skoda’s excellent performance figures proving a big draw for many lessees. 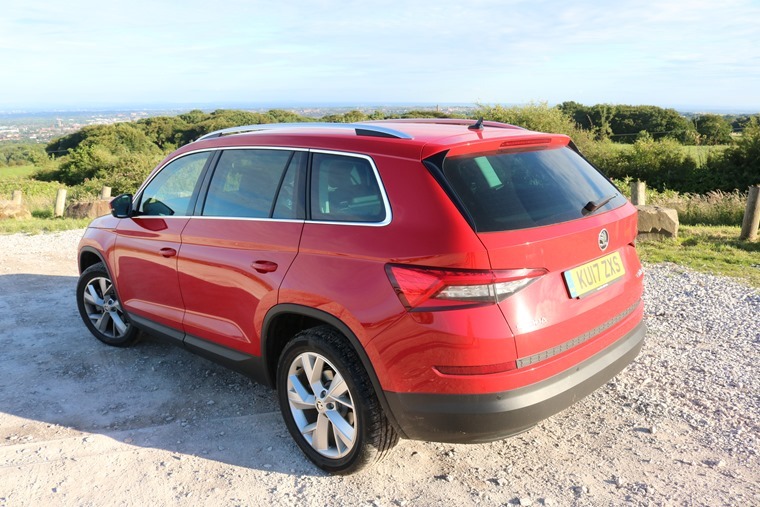 In honour of its 5 (+2) seating arrangement, we’ve listed 5 (+2) things we learned driving the Skoda Kodiaq recently. The Skoda Kodiaq does everything you need it to competently and in style. The drive itself offers plenty of torque, control, and slick steering and in combination with strong performance and refinement it will tick a lot of boxes for a lot of people. Perhaps most impressively it’s very rare that you notice the extra weight or the size of the Kodiaq, with its handling and drive feeling more like a saloon than a stereotypical sluggish large SUV. Add to that the Off Road option at the push of a button, bringing a level of surety in adverse conditions, and it’s clear there’s something for everyone behind the wheel of the car. 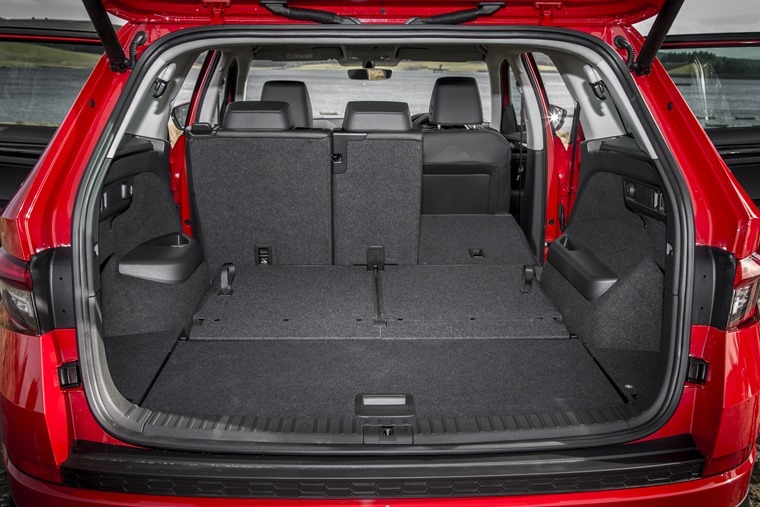 The Kodiaq dimensions are 4,697mm long, 1,882mm wide and 1,676mm tall. While those may seem like big numbers thanks to the amount of passenger space on offer, it was to our surprise that it’s actually 164mm shorter than the Skoda Superb. 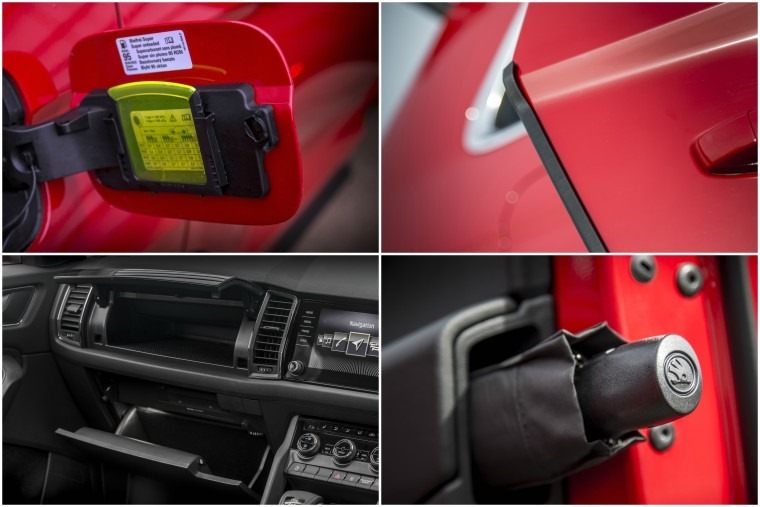 Whereas things like MPG, VED, how it drives, 0-60 time and the like are often the most important points to consider when choosing a car, when it comes to living with a vehicle, it’s the little everyday things which tend to mean the most. The Skoda Kodiaq has these in spades. Whether it’s the secret umbrella stashed in a compartment within the driver’s door, automatic edge-protectors that pop in and out of the doors when you open and close them, storage bins throughout the cabin, luggage hooks, or an ice scraper hidden in the fuel filler flap, the little touches like this mean a lot. It’s all part of a philosophy aiming to make family life easier which Skoda calls ‘Simply Clever’. Some may write these off as nothing but gimmicks, we think they’re practical and great. 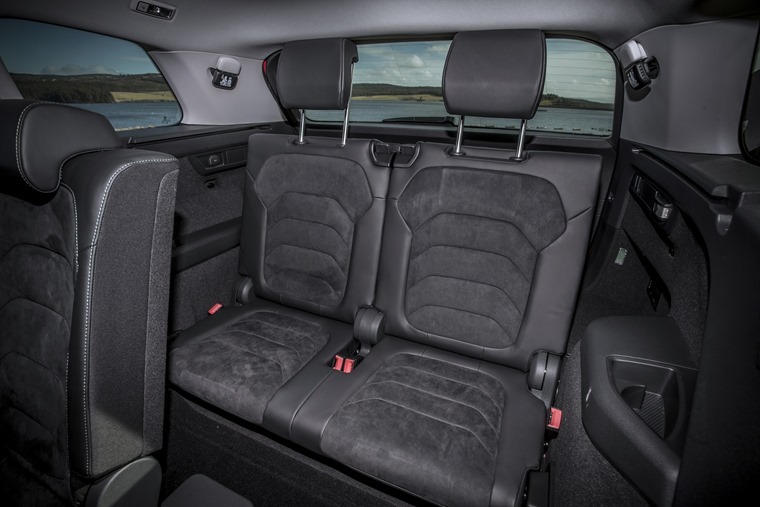 As long as those in the middle-row aren’t selfish with their leg space, and you go in an ascending order of height from front to back, you can quite comfortably fit seven adults in the Skoda Kodiaq. While arm space might a bit tight in those +2 seats in the back, a short journey is certainly bearable (and I’d definitely rather sit in them than the middle passenger seat). No matter what trim you choose, you’ll find that there are some great deals on the Skoda Kodiaq thanks to its outstanding residual values. Prices do vary of course depending on your deposit and length of contract, but the average lease price across the range currently comes out at a surprising and very tempting £337* for personal and £281* for business contract hire. The basic Kodiaq S comes with a 6.5in touchscreen infotainment system, 17in alloy wheels, and air-conditioning, so it certainly covers the needs of most families. Alas, if you’re looking for a cheap seven-seater you’ll have to move up a spec as the S models are five-seater only. SE lets you choose the larger engines and can be equipped with seven seats, and as a result will probably be the most popular choice among lessees. On top of that it comes with climate control, rear parking sensors, rain-sensing wipers and larger 18-inch wheels. SE L spec adds Alcantara suede upholstery as well as an eight-inch touchscreen with a wi-fi hotspot and front heated seats. 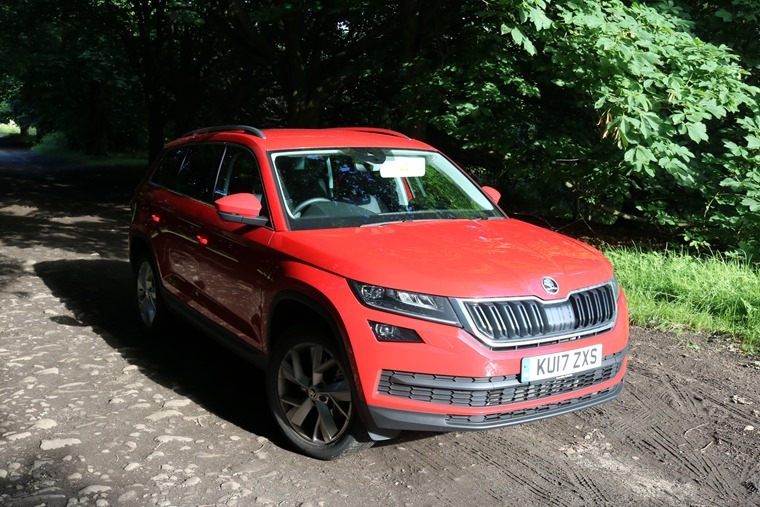 The Skoda Kodiaq Edition model which we tested represents the very best Skoda has to offer, adding electrically adjustable front seats, a colour display between the dials, blind-spot monitoring, chrome roof rails and auto-dipping headlights. If you want the cheapest Kodiaq possible you’ll have to settle for the entry-level 1.4-litre turbocharged petrol, but with that producing 123hp it might feel sluggish. Moving up a spec means a 148hp version of the 1.4-litre is available and with the added power it’s a smooth and quiet drive, while the top of the range petrol offers 187hp which should be powerful enough for most buyer’s needs albeit with a trade-off in running costs. The 2.0 litre diesel is available in three power outputs, 113, 148 and 187hp, and is likely to be the top seller. Each offers a strong engine with great economy and impressively low emissions for a car that has seven seats and weighs over 1,500kg. The world loves an SUV right now and with that in mind, you can’t help but feel spoilt for choice and a little overwhelmed at the options available. There’s everything from the premium compact Audi Q2, to the sizeable and affordable Kia Sorento. Throw leasing favourites such as the Volkswagen Tiguan, and traditional, smaller 4x4s like the Toyota Rav 4 into the mix and it’s difficult to know which one to choose. The Skoda Kodiaq draws something from each of these examples to provide the complete SUV. It is the right car for the right time.